Screen Queensland (SQ) has today opened applications for the 2016-17 Screen Culture Funding Program. The deadline for submissions is 5.00pm (AEST) Friday 16 September. SQ is committed to building a dynamic and vibrant screen culture in Queensland and celebrating the art of filmmaking. SQ’s Screen Culture program enables greater accessibility to all Queenslanders and engages regional communities who may not otherwise have film at ‘arm’s reach’. It aims to inspire conversation and informing audiences’ via shining a spotlight on others cultures, traditions and values that co-exist within our communities. Applications for Round Two are for festivals and events taking place during the 2016-17 financial year and occurring between 1 January 2017 to 30 June 2017. Please note that up to $8,000 is available per application for smaller festivals in this round; with applications not being for any single project under $2,000. SQ’s Screen Culture Funding Program supports Queensland-based events and projects or those linked with Queensland organisations and practitioners (in any format or any platform) across the state and that help facilitate cultural activities and promote an understanding of film as a cultural experience. Supported festivals and activities must engage and inform audiences, Queensland practitioners and regional Queensland, about screen culture activities and/or promote an understanding of the Queensland and Australian screen production industry within a broad global context. Funding is competitive and to ensure SQ can support a broad range of events, funding is capped for projects of cultural significance and touring film festivals. Grants offered to successful applicants for smaller festivals will generally be in the range of $2,000 and $8,000. Applicants are encouraged to discuss their submission with SQ before applying. 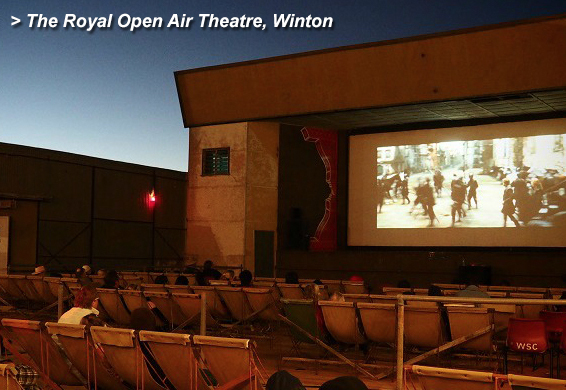 Please contact Rowena Billard, SQ Screen Culture Manager, at rbillard@screenqld.com.au or contact 07 3248 0500.